Let’s ban red light cameras by contacting your Florida State Senator today! Get your Florida State Senator to move forward and help pass one of these two important bills to eliminate red light cameras in the State of Florida. The bill has passed in the Florida House and now needs to move through the Florida Senate. SB 176 and SB 548 both ban the red light cameras in the state and are very similar, only that they have different effective dates. It is imperative that you support getting either SB 548 or SB 176 passed to ban red light cameras in Florida as it will help save lives in our district. The cameras have proven themselves to cause more deaths than before they were put up. This is an undisputable fact born out by data from the Florida Division of Highway Safety. Yesterday, January 6, 2016, Senator Jeff Brandes (R-St. Petersburg) announced SPB 7046, related to penalties and fees, has been filed. The proposed legislation will dramatically reform the driver license suspension and revocation process in Florida, and follows a series of hearings by Senator Brandes in the Transportation Committee on the topic. The proposal follows media reports last year detailing the substantial number of driver license suspensions occurring annually in Florida. Following those reports, Senator Brandes and the Transportation Committee held several hearings and heard testimony by the State Division of Highway Safety and Motor Vehicles, elected Public Defenders, and various Clerks of Court. This proposal is a result of those hearings, and it is designed to radically reduce the number of suspended and revoked driver licenses. The bill establishes an alternative system for sanctions for the more than 1.2 million driver license suspensions annually. SPB 7046 removes suspension and revocation penalties for certain non-driving-related offenses. Individuals who would have their licenses suspended today for many financial related issues will instead be issued a hardship license. The reform package also reforms a controversial surcharge in law for fines or fees which are sent to collections, and clearly establishes the right of a defendant in financial hardship to enter into community service as an alternative method of payment. Finally, the bill eliminates the felony criminal charge for a third or subsequent driving while license is suspended or revoked resulting from a defendant’s inability to pay a fine or fee. Today, March 10, 2015, kratom is being discussed by the Palm Beach County Board of Commissioners and in the Florida Senate. Elected officials are seeking ways to regulate kratom. Kratom is a tree indigenous to Southeast Asia, for which some will use the leaves to relieve the symptoms of PMS, general pain relief, depression, lowering blood pressure, decrease anxiety, diarrhea relief and increased mental acuity. There is no reason for talk of kratom’s regulation except for the outspoken voice of a parent who blames kratom on the death of her child’s suicide. Ignoring facts from the medical examiner’s office that kratom did not cause the death of her child, the parent continues her crusade with Palm Beach County Commissioners and in the Florida legislature. Even though there has never been one proven case where kratom was responsible for the death of anyone, elected officials are willing to regulate the tree, throwing reason and science out the window. Yesterday, May 2, 2014, the Florida Senate passed House Bill 7073, relating to Information Technology Governance. 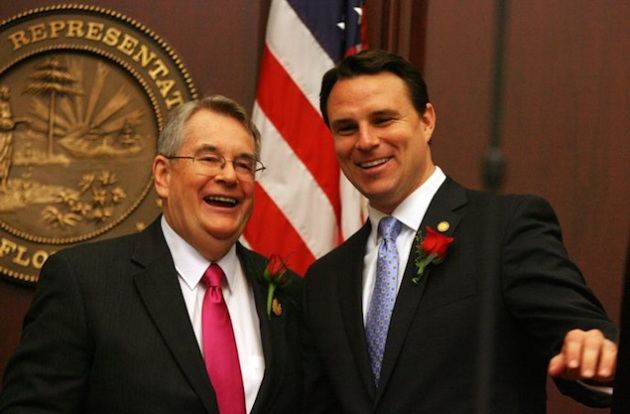 Developing an information technology strategy for state government is a component of the joint House and Senate Work Plan 2014 agenda championed by Senate President Don Gaetz (R-Niceville) and House Speaker Will Weatherford (R-Wesley Chapel). Today, the Florida Senate passed SB 1030 and the Floria House passed their version earlier this week to legalize a highly restrictive medical marijuana bill. Last night, May 1, 2014, Florida Governor Rick stated that he would sign the legislation into law making marijuana once again legal in Florida — even if to a small number of Floridians. The bill, often referred to as the “Charlotte’s Web” bill would legalize a specialized strain of cannabis for a small number of patients. The original bill only focused on children with seizures, however it was expanded to a restrictive number of cancer patients as well. The bill is so restrictive, it was the only way for Republicans to stay in the running, politically, this November as the overwhelming majority of Floridians feel marijuana should be legal in the state. The Florida Legislature concluded the 2014 Session this evening, May 2, 2014, by finalizing key pieces of legislation outlined in the joint Senate and House Work Plan Florida agenda announced earlier this year by Florida Senate President Don Gaetz (R-Niceville) and Florida House Speaker Will Weatherford (R-Wesley Chapel).